Beijing’s worst nightmare has materialized – and it turns out to be not so bad after all, if China can tolerate modest success. Taiwan’s pro-independence Democratic Progressive Party has swept the presidency and, for the first time, the national legislature. But Tsai Ing-wen immediately used her landslide election to assure Beijing and Washington that she would be a reliable, predictable partner in preserving cross-strait stability. Now it is time for the other governments involved, China and the United States, to reciprocate her positive message. 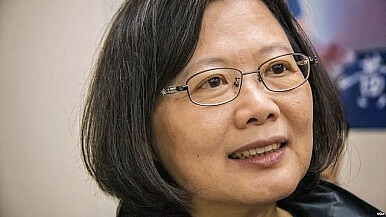 Throughout the campaign and since her victory, the president-elect has had to address three different audiences: Taiwan’s voters, particularly her own enthusiastic supporters; China’s ruling Communist Party; and the United States government, which was more sensitive to the views of the latter than the former. Tsai, a sober, scholarly lawyer, skillfully negotiated a political tightrope, adhering to her principles and those of her party while avoiding inflammatory language or a defiant tone whenever she addressed the issues separating China and Taiwan. She maintained that posture after her dramatic and historic win – Taiwan’s sixth direct presidential election since the end of martial law, the third peaceful transfer of power, and the elevation of the first female leader in a Chinese-speaking society. The operative question, however, is how to define the term, and the relationships it encompasses – is it a static status quo, meaning all political and economic arrangements remain frozen where they are now? Most Taiwanese would object to halting their further political and diplomatic development – ultimately they want formal independence and full international recognition. That is, they want a dynamic status quo. China wants that too, but one moving in the opposite direction, leading eventually to unification. The real danger for cross-strait peace and stability is that hanging over the status quo, static or dynamic, is China’s Anti-Secession Law, passed when the DPP was last in power. With the DPP victory, China could conclude it has reached that point of no return and take steps to increase the pressure during the remaining four months of KMT rule and into the new administration. There was at least one sign that it would take that belligerent approach when it conducted live fire exercises and landing drills a few days after the election. Steve Lin, first deputy minister of Taiwan’s Mainland Affairs Council, said “This is very bad news.” But that depends on what China does next. Overall, during the campaign and afterward, Beijing’s rhetoric has been relatively restrained, certainly compared to previous Taiwan elections. One serious deviation was the bullying tactics used to extract an apology from a 16-year-old pop singer for displaying the Republic of China flag in South Korea. But that only elicited outrage from the Taiwanese populace and probably helped swell the DPP landslide. President-elect Tsai has shown maturity, moderation, and goodwill in her approach to working with Beijing on Cross-Strait issues. If Xi Jinping responds in the same spirit, peace and stability can be assured for the foreseeable future. A good place for Xi to start would be to repeal the menacing Anti-Secession Law. Without asking for any mutual concession, Tsai has voluntarily taken a formal declaration of Taiwan independence off the table, pledging “no surprises.” As for the other part of the ASL, Taiwan’s “peacefully” accepting unification, Xi could explore ways to make China a more attractive partner by introducing some democratic reforms. Removing the 1600 ballistic missiles targeting the Taiwanese people would also engender better feelings across the Strait. Finally, Beijing should stop trying to stifle Taiwan’s place in the international community and take pride in their compatriots’ admirable contributions to the world in so many areas. As for the third entity in the three-party relationship, the United States, it will obviously welcome any progress the other two make in promoting Cross-Strait peace and stability. But, to enhance that prospect, it should remove any ambiguity about its commitment to Taiwan’s democratic security so hardliners in China will see the futility of threats and coercion against Taiwan and concentrate on building positive relations with the capable and optimistic new president. Washington should also elevate its official interaction with Taiwan’s government through reciprocal high-level meetings and should help facilitate its participation in international organizations. If the other two parties can match Tsai’s reasonable and positive attitude, the election results can make a significant contribution to regional peace and stability. Instead of a Taiwan nightmare scenario, Xi could help assure there is room alongside his China Dream for a Taiwan Dream as well.